We're more than happy to announce that Spain will release their seventh studio album September 28 via Glitterhouse Records. 'Mandala Brush' is the follow up to the band's critically acclaimed live record 'Live at the Lovesong' (2017). With his forthcoming album Josh Haden wanted to replicate the sound he’s been capturing at these live shows. All of the songs were recorded live in the studio. There were no click tracks used. Many of the songs were developed at the Love Song Bar in LA over a period of several months. The album contains 11 songs, including catchy ones like 'Sugarkane', 'Laurel, Clementine' or the gospelesque 'You bring me up'. But also endless, psychedelic jams like 'Rooster Cogburn' or the jazzy 'Tangerine'. About the album title Josh says “a mandala is an ancient and sacred symbol representing the oneness of the universe. The “brush” in the context of this album is a modern and secular tool used in computer art applications. The mandala brush helps facilitate the creation of mandalas, but is never a finished mandala in and of itself”. 'Mandala Brush' was produced by Kenny Lyon and Josh Haden in Los Angeles, CA. The album features founding member Josh Haden (bass, lead vocals) and longtime collaborators Kenny Lyon (guitar), Shon Sullivan (acoustic guitar, keyboards) and Danny Frankel (drums). Also performing are two of Josh’s sisters, Petra Haden (violin, backing vocals) and Tanya Haden (cello, backing vocals), along with Mike Bolger who played the trumpet on Ry Cooder's 'Chavez Ravine' album. Matthew DeMerritt on flute and saxophone who also was Macy Gray’s saxophonist and Dengue Fever founding member David Ralicke (clarinet, flute and trombone) who also played with artists such as Beck, Tony Joe White and the Afghan Whigs. Spain is the brainchild of Josh Haden. Their music has been described as “indie pop slowcore americana free jazz”. They are best known for the aforementioned debut album, 1995’s 'The Blue Moods Of Spain', and for the song 'Spiritual' which was recorded by Johnny Cash on his Rick Rubin-produced, Grammy-winning 1996 album 'Unchained', and by Josh’s late father Charlie Haden along with jazz guitarist Pat Metheny on the Grammy-winning 1997 album 'Beyond The Missouri Sky'. 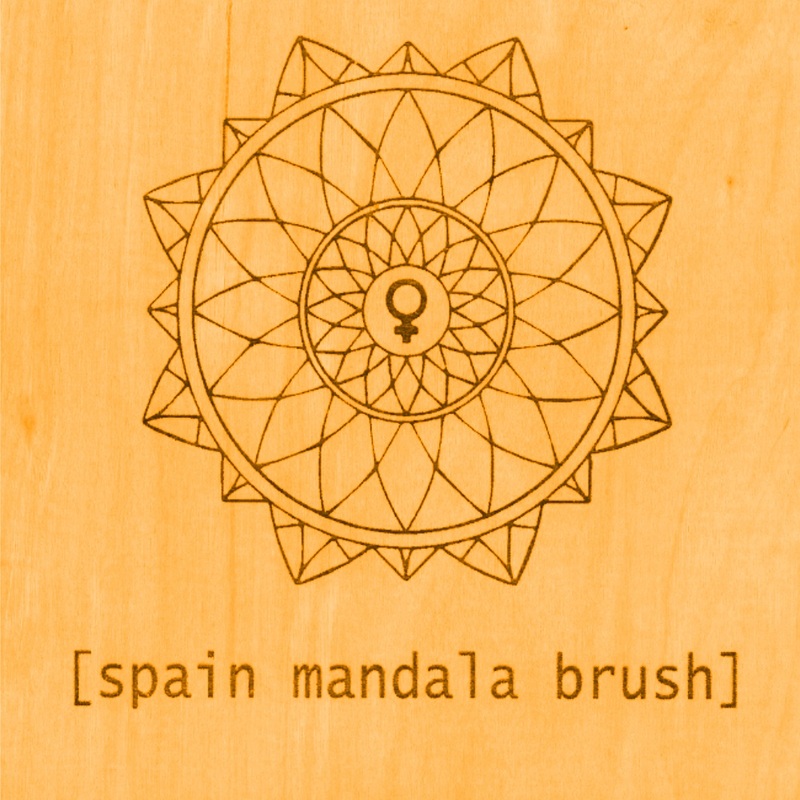 Spain 'Mandala Brush' will be released September 28 via Glitterhouse Records followed by extensive touring all over Europe!